to let the word that is spoken in the present moment determine the future. would continue on the earth. finding another way to deal with the sin and evil of the world. but with their descendants after them. and these childless until old age. and it determines the future. Abraham and Sarah surely don’t determine the future. indeed there would be no God’s people. after all, Abraham was a heathen until God called him. Genesis reveals Abraham and Sarah to be people with very little to their credit. Sarah laughs when the messenger tells her that she will have a child. to save himself from being killed by a king who may desire her. Both of them are crafty individuals. But Paul looks back to Abraham as his spiritual ancestor. can he really be the exemplar for the ultra-religious, ultra-scrupulous Paul? Certainly Paul is descended of Abraham’s family according to the flesh. But this is not why Paul looks to Abraham as model. a covenant which he did not choose. but because God spoke a word by which he bound himself. except cling to this word and promise. 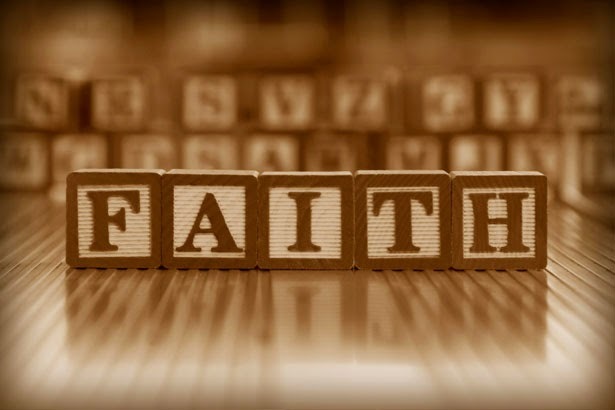 Often we use the word ‘believe’ in connection to faith. This English word ‘belief’ is a little bit problematic. when we acknowledge that something happened or something exists. but a matter of the heart. a trust that God has made, is keeping, and will keep his promise. This is why the Creed follows the readings, the Sermon, and the Hymn of the Day. It is a response in faith to the God who has been proclaimed there. So we are called to trust in God. but it needs to be done in great humility. the truth is that we don’t find a lot of trust there. a lot of doubting and a lot of telling God how to run the show. that Peter didn’t expect he should say. that he should suffer and die and be raised from the dead. we understand that Peter and Paul had to learn too. As we’ve heard, so did Abraham. a faith which shares in the faith of Abraham? creates faith in that promise. but which can do nothing for the future. and be protected from all that is evil.